Savanna has completed 71 leasing transactions in its N.Y.C. portfolio in 2012, totaling over 500,000 s/f. "These leases are indicative of the level of service and investment associated with Savanna's properties across our N.Y.C. portfolio, as evidenced by the growing number of lease renewals, expansions and new leases. We thank the brokerage community for their continued support in these transactions and look forward to working together in 2013," said Nicholas Bienstock, managing partner at Savanna. Numerous leasing transactions were completed within Savanna's 2012 N.Y.C. 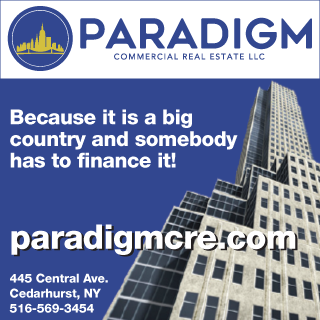 portfolio, which includes 80 Broad St., 100 Wall St., 5 Hanover Sq., 2 Rector St., 1375 Broadway, 21 Penn Plaza, 31 Penn Plaza, 15 East 26th St., 576 Fifth Ave., 465 Broadway, 245 West 17th St. and 249 West 17th St.
80 Broad St., a 36-story, 419,000 s/f multi-tenant office building located between Stone and Beaver Sts. in Manhattan's Financial District, was the most active property, with 21 leases signed in 2012. McGivney & Kluger, P.C., an insurance defense firm, signed a lease expansion, occupying 22,000 square feet; Forte Capital Group, a full-service fixed income securities trading firm, signed a new lease, occupying 10,210 s/f; Kenshoo Inc., a provider of end-to-end search marketing automated technology for advertisers and agencies worldwide, signed a new lease, occupying 10,210 s/f; LearningExpress LLC, an online career and academic resource library, signed a new lease, occupying 8,695 s/f. At 100 Wall St., a 29-story, 519,000 s/f office building located on Wall St. between Front and Water Sts. in Manhattan's Financial District, Schindler Cohen & Hochman, a premier litigation firm, signed a lease renewal, occupying 11,800 s/f; and Verizon Wireless signed a lease renewal, occupying 2,630 s/f. Additionally, at 15 East 26th St., Jump Trading, a privately funded algorithmic trading firm, signed a new lease, occupying 19,280 s/f; and at 104 West 40th St., Vox Media, the Washington, D.C.-based publisher of popular websites including SB Nation, The Verge, and Polygon, signed a new lease, occupying 16,884 s/f. "With more than 70 transactions totaling over 500,000 s/f closed in 2012, we are confident in the continued strength of the New York City commercial office and retail market and demand for our properties," said Nicholas Bienstock.